It’s an exciting time in the Australian wine industry and an early one at that! It’s six o’clock in the morning, and an incredible sunrise has decorated the sky above Eden Valley with an array of soft pinks and deep oranges. For most people in the nearby towns, it’s a fantastic sight to wake up to and witness. For our grape harvesters and vineyard managers however, the alarm clock went off four hours ago. 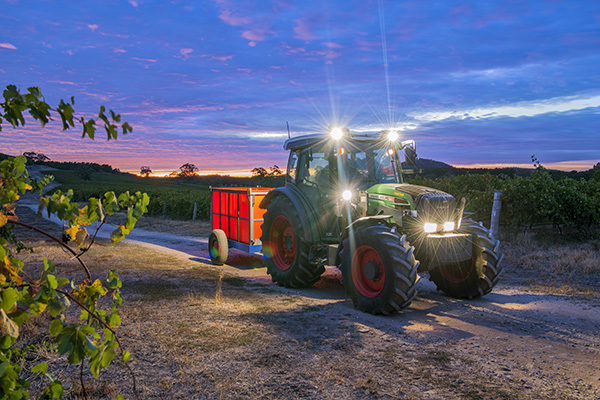 You see, it’s the close of the harvest season in the Eden Valley and that means early starts and late finishes until the grapes are all harvested for processing. Where possible, we try to harvest the grapes before sunrise, because the cooler temperatures help to prevent spoilage or early fermentation. The whole valley works to a similar timeframe, so if you crest a hill before sunrise, it often looks as though a fleet of spaceships is roaming around the pitch-black vineyards, as the giant harvesting machines light their way through the night. Also known as “vintage,” harvest season is an exciting time for winemakers, as it’s the result of nearly a whole year of caring for our crops. 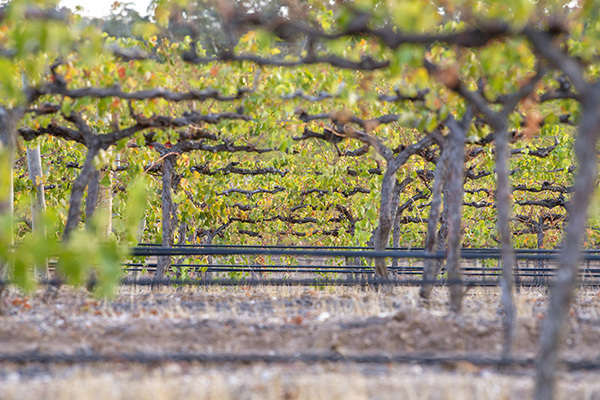 We’ve panicked each time the heat waves brought leaf burn and threatened to shrivel our crops, and we’ve felt equally worried when the heavy rains came and threatened to over-ripen our grapes, causing them to burst. This year has been a particularly dry season. And while we’ve been lucky enough to escape the worst of it in the Eden Valley, it’s still been dry enough to cause a lower yield (in tons of grapes) than previous years. However, while yield is down, meaning less wine on shelves for the 2017 vintage, the grapes that have matured through this dry season are packed with sugars, which will lead to some amazingly character-rich wines. Many of our grapes have already been pressed, fermented and processed, and back in the Eden Valley, our winemakers are already reporting some incredible flavour profiles from this year’s harvest. After 2017’s dry season, we were hoping for some reprieve in 2018, but the early warning signs seem to suggest an even dryer year this year. Either way, there’s no time to dwell on it. Preparations have already begun for next years’ crop, and our vineyard manager is combining classic techniques with modern technologies to ensure that we get the most out of the precious little water that we’re expecting this year. For example, we’ll adjust our pruning methods to create hardier vines, and opt for mulches that help to lock in the ground moisture. We’re also experimenting with the latest in digital soil probes, which allow our vigneron to constantly track soil moisture and minerals, no matter if all goes to plan, then when you buy one of our Australian wines in 2019, drought will be the last thing on your mind. So as this year’s harvest draws to a close, we’d like to pass on a very special thanks to all of our amazing harvest workers, vineyard managers, winemakers, transport drivers, bottlers, suppliers, stockists and everyone else at The Collective Wine Company. Thank you for another incredible harvest season, and best of luck to everyone for this coming year!